Statement by the Maldives at the High Level Meetin..
Let me first of all thank His Excellency Mauricio Macri, President of Argentina and his Government, for the excellent arrangements undertaken to host this important meeting, forty years after Buenos Aires Plan of Action was adopted in this very city in 1978. I wish to convey the greetings of the people of the Maldives to the people of Argentina. Let me also take this opportunity to thank His Excellency Antonio Guterres, Secretary General of the United Nations, for bringing into the forefront, the cooperation and collaboration between developing countries as an engine for greater global economic growth and prosperity. The Maldives in November last year, elected a new Government into office. The new Government of President Ibrahim Mohamed Solih is committed to invest time and resources to ensure that the Maldives remains a beacon of economic growth and resilience, a democracy full of ambition and drive. In our efforts to rekindle relations with our long-standing partners, we have come to the inevitable conclusion that South-South and triangular cooperation could be, if not is, one of the main drivers of regional cooperation and stability, credited with increased commerce, investments, and exchange of information and technology. This is especially true in the Indo-Pacific region. Historically, the Maldives has been a beneficiary of both North-South and South-South Cooperation, which has helped us emerge from being the 17th poorest country in the world during the 1970’s, to an upper Middle Income Country, graduating from the list of LDCs in 2011. We will always appreciate, and recognize our partners who had invested in the Maldives, both in human capacity and material resources, in particular the United Nations Development Programme. However, material wealth and rise in GDP per capita does not always translate to state of economic resilience. For Small Island Developing State (SIDS) such as the Maldives, with a higher GDP and narrow economic base, much more needs to be done. SIDS have to take into account the extraordinary circumstances of their environmental and ecological vulnerabilities when making important economic and commercial decisions. 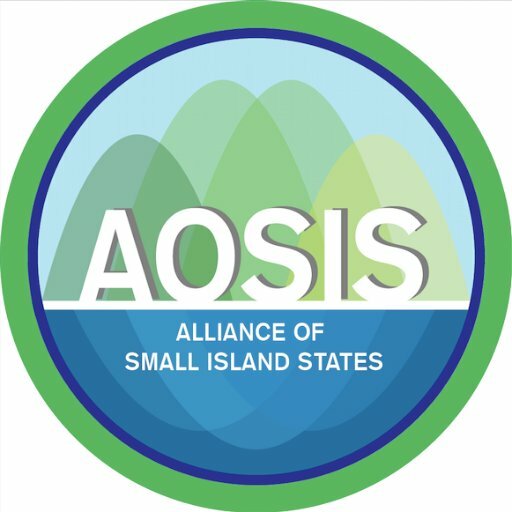 Furthermore, the volume of trade and economic activity are characteristically narrow, resulting in the need to invest in diversification which can be challenging given the average size and value of potential markets in SIDS. There is space in the Global South to cooperate more extensively on commercial investments, on development cooperation and capacity building. We in the Maldives, a world-renowned tourist destination, have witnessed first hand increasing tertiary-sector investments and tourist arrivals from developing countries in the past decade. We have also seen increased cooperation and capacity building in the fields of education, environmental conservation, human rights and commerce, allowing us not only to reap its benefits, but also to expand our diplomatic outreach and collaborate on a multitude of emerging issues. However, promoting greater level of South-South cooperation should not mean we abandon North-South cooperation. Indeed, the global North has a moral and political obligation to support the development efforts of the countries in the South, including through the transfer of technology and finance. The achievement of the Sustainable Development Goals (SDGs) is central to this meeting, and is one of the fundamental pillars of South-South cooperation. The economic maturity of the Global South has notably changed in past decades, with developing countries contributing significantly towards the global discourse on SDGs, accelerating our efforts towards achieving and implementing them. It remains to us, to seize on the present moment, and to consolidate the recognition for South-South Cooperation in an array of international frameworks such as the Addis Ababa Action Agenda, the Paris Agreement, the Sendai Framework and the Nairobi Outcome Document, and finally, Agenda 2030. The Maldives reiterates its full support to the agreed outcome document that was negotiated in New York. We believe, the implementation of SDGs, global and coordinated action on climate change, and, South-South cooperation being an important conduit for global economic growth are all essential parts of the present international economic order. Let me also take this opportunity to thank the UN Office for South-South Cooperation, and the UN Development System, for their programmes and initiatives having recognized South-South and triangular cooperation as an effective platform for its strategic activities in the implementation of developmental assistance. We continue to see the benefits of such programmes in the Maldives, as we have made impressive strides in the education and health sectors, technical and human-resource capacity-building and the development of our transport and infrastructure. Our focus, also firmly remains placed on the continued development of institutions. For we believe that only strong and independent institutions can steer a country towards prosperity, and maintaining high level of economic, social, and political advancements. The Maldives has benefitted immensely from the exchange of methodologies, capacity constraints and the means to overcome these challenges. We would encourage the United Nations system, to collaborate more closely within the region on triangular cooperation, through regional and international networks. In conclusion, Mr. President, let me reiterate the commitment of the Government of Maldives in aligning itself to the important principles that was agreed in Buenos Aires forty years ago, and subsequently in Nairobi, Havana and Doha. The Maldives continues to believe that the future of South-South Cooperation should not follow the past trend of North-South cooperation. It should, instead, be one that is based on solidarity, equality, and mutual respect. The individual and collective interests of the countries in the global South must be to foster an international order that inspires actions to promote sustainability, inclusivity and prosperity. Following this important meeting, the Maldives will expend considerable effort to explore new avenues of cooperation and establish new partnerships to supplement post-financial crisis economic models. We will work closely with countries that share similar challenges to us, especially on rapid borrowing and financing for development, and in return share our own experiences in the hope that it will further contribute to the strengthening of the collective experiences that define the diverse yet common objectives for development in the Global South.